Welcome to the January Newsletter. However short the days and dark the nights, we now have a whole new year to look forward to. In particular, for news of this year's big course at Samye Dzong which will be led by Lama Zangmo...read on. Winter re-opening - at the end of a Winter closure is a re-opening which will take place this Wednesday 11th January at 2.00 pm. We look forward to welcoming you back to the Centre in 2017. The Importance of Ethics is a three week course with Lama Zangmo starting this Thursday, 12th January, 7.00-8.30 pm. Everything we do has an impact, and our choices determine whether the outcome is harmful or not. How can we live our lives 'lightly' in the 21st century, without causing ourselves and others more harm? Full course details can be found on the website and you can book your place using the Donate button at the bottom of the page. Green Tara - this month, in addition to the weekly puja on Sunday mornings, Lama Zangmo will be giving Green Tara Practice Instructions on Saturday 28th. 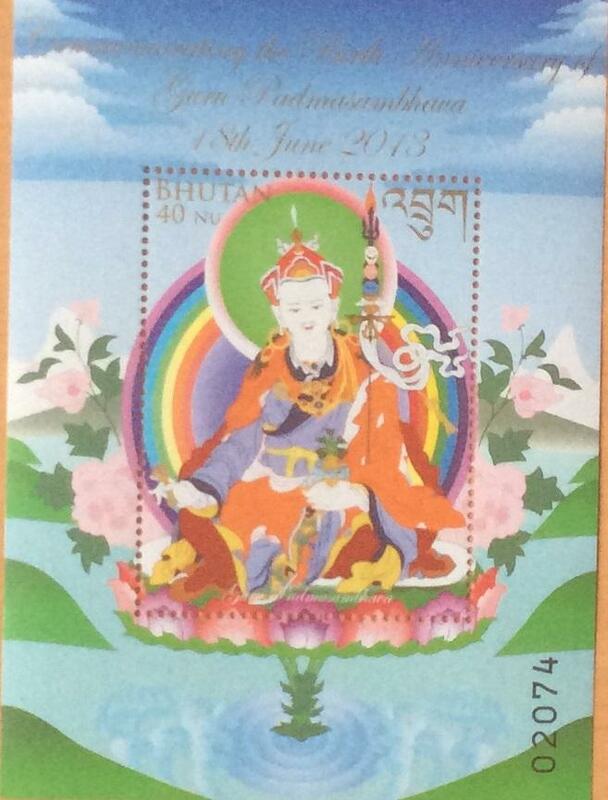 This will be followed by a Green Tara Practice Day on Sunday 29th. Kagyu Monlam 2017 - during February, Lama Zangmo will be attending the Kagyu Monlam, full details of which can be found on the Kagyu Monlam website. Kagyu Samye Dzong London is always happy to get enquiries about volunteering. If you are interested in getting involved as a volunteer at the Centre, please contact the office for a volunteer form. Natural disasters, war, political upheavals and the worsening environmental crisis made 2016 a difficult and disturbing year for many people. At the beginning of this new year of 2017, I think it is important to remember once more that we live in an interconnected world. This is based on common sense. If we examine our own lives carefully, we will quickly realise that since before we were born our very existence has depended on the kindness and hard work of others. When we forget this, we can make great mistakes and create many problems, and this leads to an increase in suffering for both ourselves and others. Likewise, when we seek happiness, it should not be just for ourselves. The self that wishes only for its own happiness is mistaken. From the Buddhist point of view, that self does not even exist in the way we think it does. Seeing ourselves as the centre of the universe is like being trapped inside a prison of our own making. It has a negative, distorting effect on all our relationships. But if we think carefully about how things really exist, we come to understand that essentially there is no difference between ourselves and others. They are a part of us, and we are a part of them. The Buddha taught that ultimately, the only true and lasting happiness in this world comes from changing our focus from ourselves to others. When we sincerely wish and work for the happiness and benefit of others, we create our own happiness and make our lives truly meaningful. I pray that in the year ahead, whatever challenges arise, we will find the courage to face them and that through our efforts happiness, peace and well-being will increase in every corner of the world. The wonder and colour of everyday experience can be opened up to us by increasing our awareness through meditation. We will also be able to be more resilient in the face of all of life's challenges. "How we go about learning meditation will be through breathing exercises and visualisations. Simplicity will be the essence. Through these exercises we can renew our perception of the world we live in, finding happiness and restoring our sense of balance that is too easily lost in this busy changing world. We will investigate experientially the core attitudes of a good meditation practitioner. 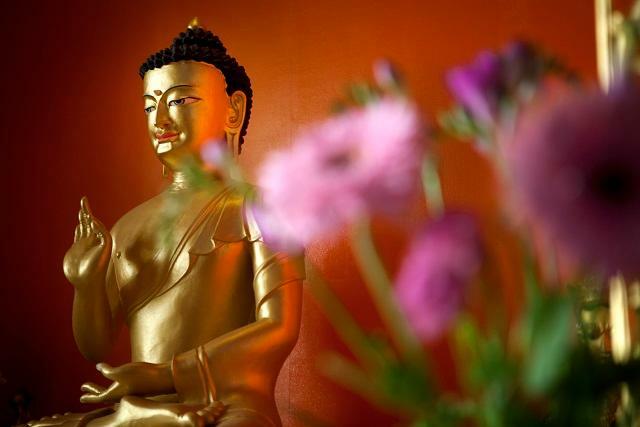 Above all, we will try to experience meditation in the colourful environment of London Samye Dzong and then go on to take that experience home with us for our own benefit and those of all around us. This course is suitable for anyone with an interest in meditation and mindfulness, whether beginner or more experienced, whether Buddhist or Non-Buddhist." 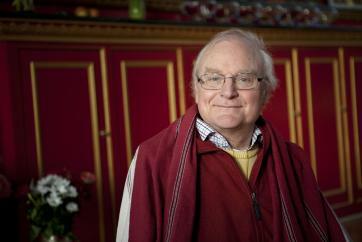 Meditation as a way of life, with Clive Holmes. Saturday 4th - Sunday 5th February, 10.00 - 4.00 pm. For more information about Clive, visit the course page, where you can also book your place using the Donate button at the bottom of the screen. The Way of the Bodhisattva otherwise known as the Bodhicharyavatara is a text that is treasured by Buddhists from many different traditions. It is a Mahayana text composed by the great Indian scholar Shantideva. It is an excellent guide to cultivating the mind of enlightenment (Bodhicitta) and to generating the qualities of limitless love, compassion and wisdom. This text which has been studied, practiced, and expounded upon in an unbroken tradition for centuries is presented in the form of a personal meditation in verse. Its main function is to outline the path that Bodhisattvas need to take, principally the Six Paramitas. These are generosity, discipline, patience, diligence, meditation and wisdom. Bodhisattvas are those who renounce the peace of individual enlightenment (Nirvana) and vow to attain Buddhahood for the sake of liberating all beings from Samsara. The course will be held one Saturday every month (typically the third Saturday of the month with a few exceptions), starting on 25th March and going through to 16th December, with a break during August. The course will consist of teachings on the text as well as meditation instructions and a framework for ongoing daily practice. Copies of the text can be bought as a book sold in the shop with the title "The Way of the Bodhisattva" (Shambala translation). This is the recommended text for the course. It is recommended that participants commit to come to all the teachings and to do the daily practice sessions at home. The Bodhicharyavatara with Lama Zangmo starts on Saturday 25th March, 10.00 - 4.00 pm. Full details of this course, including the dates of teaching for the whole year, can be found on the website. If you intend doing this course, please make sure that all the dates are firmly in your diary, and please book in advance. Join the KSDL Sangha for a 5 day intensive Guru Rinpoche Drubcho from Wednesday the 15th to the Sunday the 19th of March. 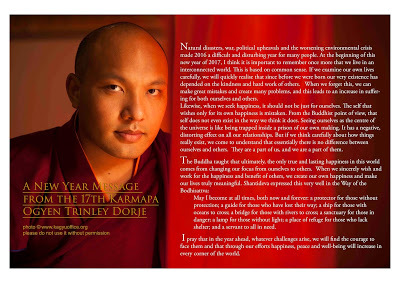 We are extremely fortunate to have Choje Lama Yeshe Losal Rinpoche joining us for some of this important event. The function of the Drubcho is to purify obstacles and to bless the place of practice, the participants, the environment and the wider world. It involves prayers, meditation, music and mantra recitations as well as offerings of Tsok. Everybody is welcome to come and participate, or simply sit in on the practice and observe. Guru Rinpoche, otherwise known as Padmasambhava, was pivotal in bringing Vajrayana Buddhism to Tibet in the 8th century. He helped to establish Samye, Tibet's first monastery, which then became an important base from which much of the Buddha's teachings were translated from Sanskrit to Tibetan by learned translators. He is considered, by Tibetans, to be the second Buddha due to the importance of his activities. 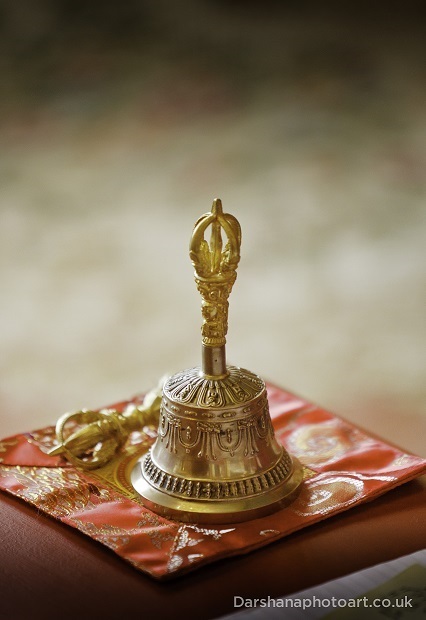 Those who have received a Guru Rinpoche Empowerment and would like to receive instructions on this practice can do so on Saturday 4th of March. On the Sunday 5th of March practical hands-on instructions as preparation for the upcoming Guru Rinpoche Drubcho will be given. From 1 January 2017, ROKPA UK is no longer able to collect funds for the current range of projects in Tibet, Nepal and Zimbabwe, but will instead be focusing on The Akong Memorial Foundation, which will be launched in early 2017. During his lifetime Akong Rinpoche took great care to support the monks and nuns at Dolma Lhakang Monastery. Since Akong Rinpoche's passing in 2013, however, there is an urgent need for our support, which is why the Akong Memorial Foundation was established. If you wish to support the Dolma Lhakang projects you can do so through the Akong Memorial Foundation. The new email address is info@akongmemorialfoundation.org (website to be launched in early 2017). However you choose to support the vast, compassionate vision of the late Dr Akong Tulku Rinpoche, we can assure you that your donations will be put to good use and we thank you for your invaluable contribution towards making the world a better place for all of us. The Centre will close after the Chenrezig Puja on Sunday 18th December and will reopen on Wednesday 11th January . Everything we do has an impact, and our choices determine whether the outcome is harmful or not. How can we live our lives 'lightly' in the 21st century, without causing ourselves and others more harm? Join the Sangha for a day dedicated to the first part of the Ngondro practice - prostrations. This day is suitable for anyone who has already started the Ngondro practice. We are re-running this successful and comprehensive training in compassion which is a follow on programme for those who have completed the one year Mindfulness training. This is a day of instructions in the practice and text of Green Tara. If understood properly, Green Tara practice helps us overcome inner and outer obstacles, and especially the obstacles of our own fears and self-doubt. Everyone at Kagyu Samye Dzong London wishes you a Happy Tibetan New Year, the Year of the Fire Brid. May the coming year be full of abundance, peace and happiness for all.